The Gallatin River begins high in the mountains of Yellowstone National Park. It meanders through high mountain meadows as it flows north out of the Park. 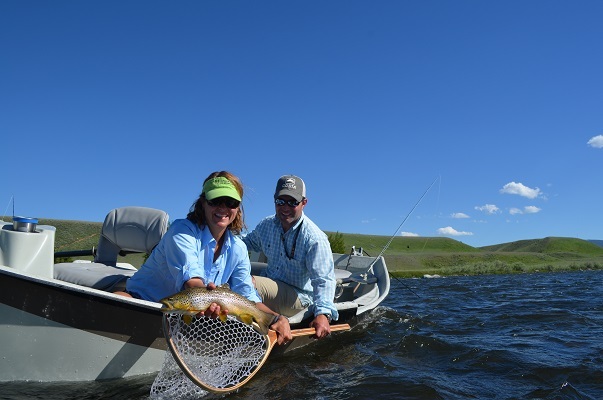 Fishing this stretch begins in late June and early July when the spring runoff subsides and rivers levels come down. The meadows inside Yellowstone Park are beautiful and hosts some spectacular wildlife as well and trout. The majority of Cutthroat trout in the Gallatin River are caught in these meadows, containing both pocket water and riffles and runs. The river leaves Yellowstone Park and begins it descent into Gallatin Canyon. The stretch to Big Sky is characterized by shallow riffles with some nice bends and cliff ledges that make good holding spots. These riffles fish best during the early summer dry fly season with the emergence of the Goldenstones and Salmonflies. Between the riffles and runs there are some good deeper pockets which hold most of the trout. Access along the river is easy with many pullouts near the river. The stretch from Big Sky through the canyon where it enters Gallatin Valley holds the best pocket water and the largest populations of trout in the river. 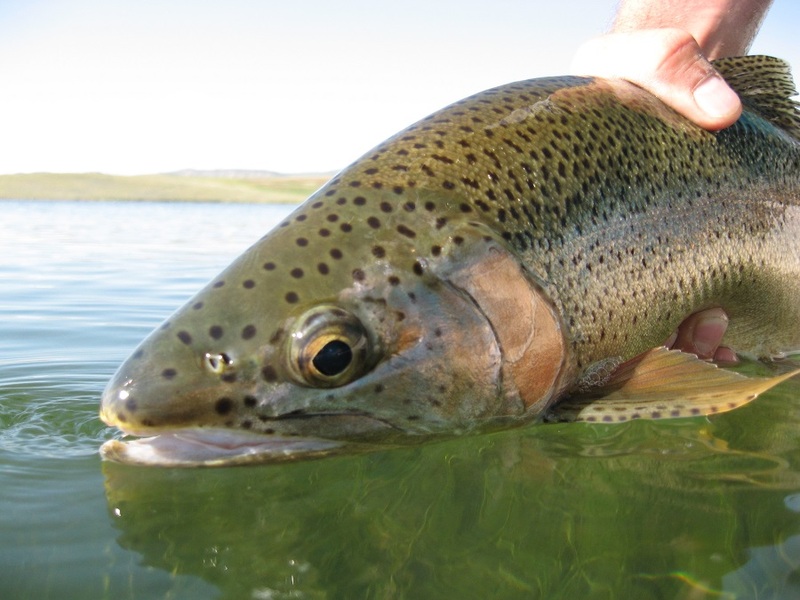 Trout in the Gallatin range in size from 8-12 inches with a healthy population of 16-18 inch fish, which are caught more often in the Spring and Fall. The Gallatin is a spawning rover for fishing coming out of the Missouri River. 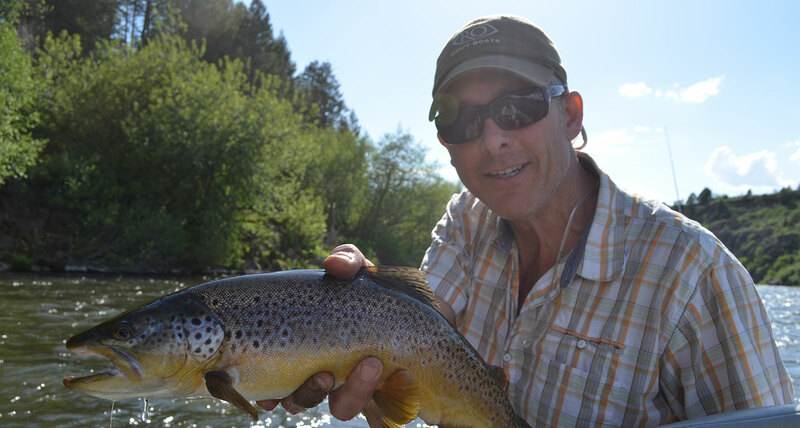 During the spring and fall months, it is common to catch some larger fish in the river. The Gallatin River leaves the canyon stretch and then flows through the Gallatin Valley. The river here takes on a wider path as it meanders through the valley to the confluence with the Madison and Jefferson rivers to form the Missouri River. The Gallatin flows through agricultural fields of hay and alfalfa, which makes use of the river flow for irrigation. During summer months these stretches get low and are better once the Fall comes around. The Madison forms at the marriage of the Gibbon and Firehole Rivers in Yellowstone Park. From there it flows through the wildlife rich meadows on YNP. This stretch of river is fished best in the Spring after runoff and in the Fall when large fish out of Hebgen Lake enter the winter to spawn. The Madison in the Park meanders with deep pools and long runs which make perfect holding water for large fish. As soon as the river leaves the Park p boundary it flows only a couple of miles until it is runs into Hebgen Lake. Below Hebgen Lake the Madison River has a short stretch between the dam and Earthquake Lake. This stretch is open year round and provides excellent wade fishing opportunity throughout the entire year. With easy access along Hwy 287 this stretch hold many large fish that come out of Earthquake Lake as well as spawning fish from the river below. In 1959 the was a massive earthquake that caused a landslide across the Madison River and created Earthquake Lake. This lake is very deep and hold large populations of both Rainbow and Brown trout. Throughout the summer this lake provides excellent dry fly and nymph fishing. The river drops out of Earthquake Lake and flows into the upper Madison Valley. The upper Madison Valley is a 60 mile stretch of trout stream that hold incredible populations of Rainbow, Brown trout and Rocky Mountain Whitefish. This is one of the most popular and legendary sections of trout river anywhere in the world. Hatches of Caddis and Mayflies start in the Spring, this moves into Stoneflies, Caddis and more mayflies throughout the summer months.